The Kandypens Feather is a super compact refillable pod mod designed with nicotine salt juice in mind. Simply fill the Feather’s 2ml pod with your favorite nic salt juice and inhale on the mouthpiece to start vaping! Kandypens’ Feather is just 80mm tall and 8mm wide, making it one of the most discreet kits going. Its build quality is fantastic too: the Feather is handmade, and has a grippy, rubberized finish so it won’t slip in your hand. Refilling the kit on the go is easy: just pop out your Feather pod, remove the rubber stopper and drip your vape juice into the filling slot, making sure to firmly replace the stopper afterwards. The Kandypens Feather is optimized for nicotine salts, which deliver a strong nicotine rush without any harsh throat hit; the 0.8ohm coil inside each Feather pod produces a satisfying amount of cloud alongside rich, powerful flavor! The Kandypens Feather has a 380mAh battery and an output power of 15W; for such a small device, the Feather packs a serious punch. A Micro USB charging port sits on the side of the device alongside a row of LED battery indicators, so you’ll always know when your Feather needs recharging! The Kandypens Feather is one of the most impressive refillable pod mods on the market. 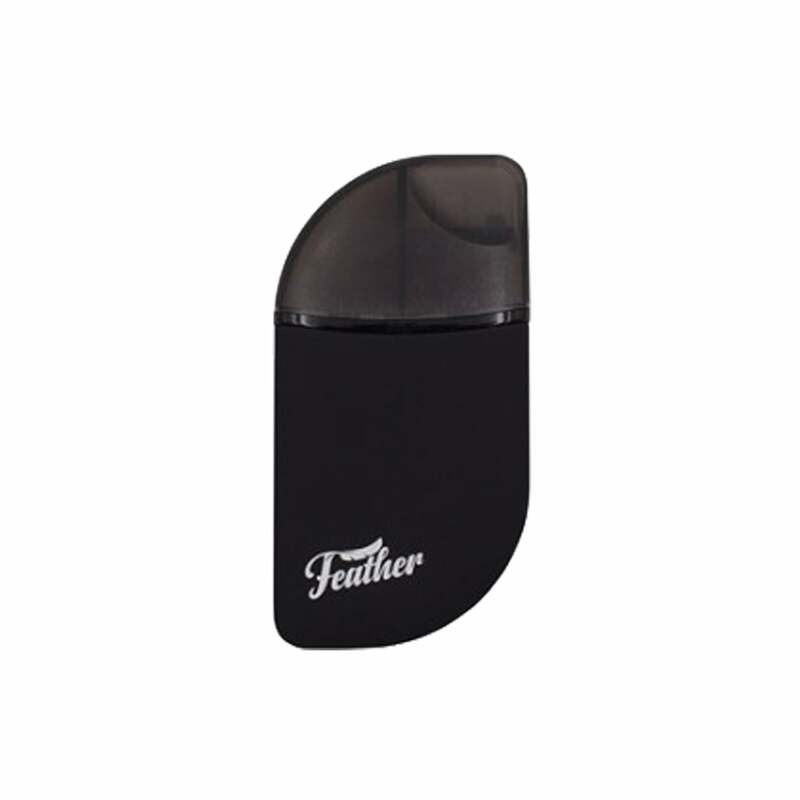 A pocket-sized powerhouse, the Feather is perfect for nic salt vapers who would rather choose their own juice than buy pre-filled pods, or anyone looking for a stealthy but satisfying vape. Same issue would have loved the device. Liked the rubberized outside. The pods were awful. That stopper got stuck couldn't refill it. Then couldn't buy replacements. it’s an okay mod, it gets the job done. the rubberized finish is nice in the hand. but the real issue is the pods. they don’t last more than one refill without getting burnt and the wicking is a problem once you get below a certain amount of ejuice - the juice level won’t be high enough to reach the wicking hole resulting in a dry hit.